Sprint Nextel, offering industry-leading mobile data services, announced the launch of one of the toughest phones, designed specially for those customers who work under extreme conditions. Introducing the all new Motorola Brute i686, a device meeting Military Specs 810G for dust, shock, vibration, low pressure, solar radiation, temperature, salt fog, blowing rain, humidity and immersion. 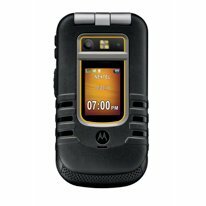 Even though the device is somewhat different than others, Sprint Nextel has kept the tough phone feature-rich. It comes packed with all the features including the best-in-class push-to-talk capabilities of Nextel Direct Connect, support for business applications and increased durability.